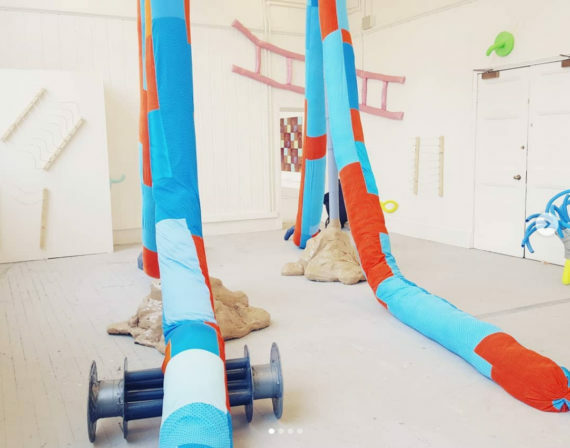 From painting and sculpture to intriguing animated works and performance, we wrap up this year's a-n Instagram degree shows coverage with a look at Sam King's visit to The Art Academy's 2018 graduate show, plus other highlights from previous degree show Instagram takeovers this year. The last of our a-n Degree Shows Instagram Takeovers saw Sam King visit The Art Academy‘s graduate show in London, which continued until Sunday 8 July. King viewed work from courses including the Contemporary Portrait Diploma, Figure Sculpture Diploma, and Fine Art Diploma. 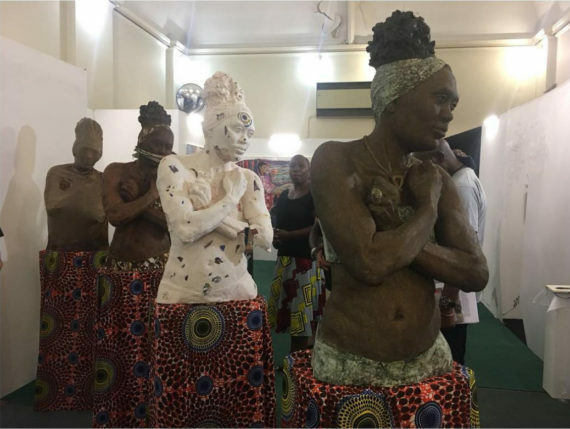 The above image is of work by Desrie Thomson-George, featuring sculptures that tell the story of Jilo, her struggles and her journey. King describes them as “powerful sculptures [that] speak to the political and social experience of being a black woman in the West, using art as a force to create change through narrative and dialogue”. King also spotlighted ‘Fortius’, a series of portraits from Fiona Land drawing on the artist’s experience as a former Olympic rower, which explore “the mental strength needed to become a champion”. Shankar Nielsen also deals with themes of “physical [as well as] emotional vulnerability” in his animated works with sound. Strangely but perhaps appropriately pixelated, they depict broken bodily forms that move and shift with electronic sound composition. With a background in dance, burlesque and circus, Manon Aquilina‘s queer performance work “connects fine art and cabaret”. The artist performed during the private view and throughout the weekend. 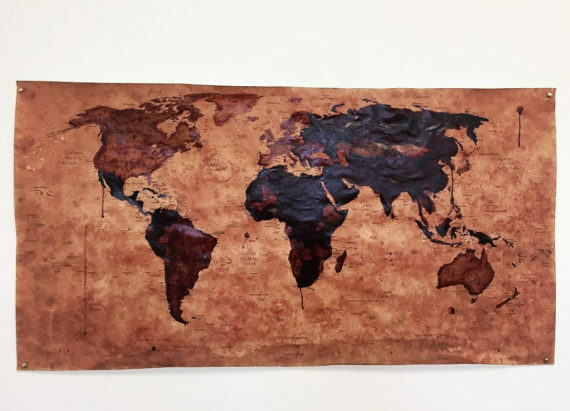 Aquilina also presented a map using “the menstrual blood of 13 women”, with a view to explore where women are most oppressed around the globe: a unifying depiction of female identity. Sarah Monjack‘s “amazing video work” implements the metaphor of water “to summon the viewer into a dive deep down into their unconscious”. Even with this Instagram video, we are switched to seeing the surface of the sea from a range of montaged perspectives. Along with steely sound, the effect is atmospheric and submerging. This year’s a-n degree show Instagram takeovers included visits to exhibitions across the UK. These included: City & Guilds of London Art School; Warwickshire College; Birmingham City University’s School of Art; Camberwell College of Art; Glasgow School of Art; Edinburgh College of Art; Bolton School of the Arts; Cardiff Metropolitan University; Wirral Metropolitan College; and Coventry University. We also visited shows in Swansea, Dundee and St Helens. 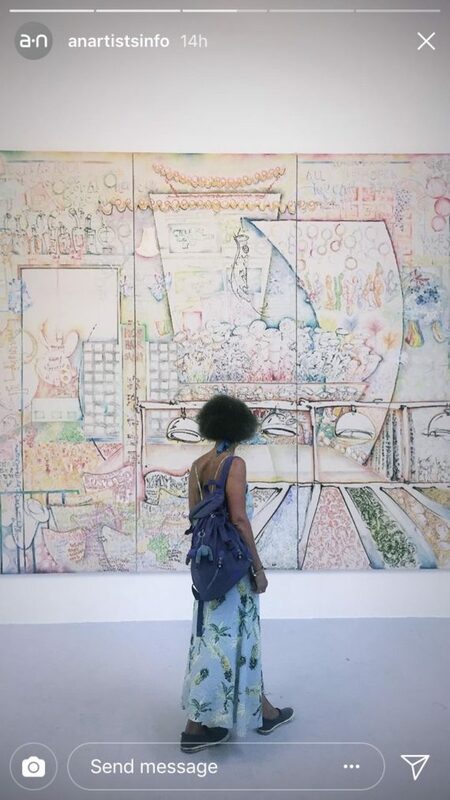 During her visit to City & Guilds of London Art School’s degree show Sam King didn’t just post on the @anartistsinfo feed, she also utilised Instagram Stories, one of which we managed to screen grab before it disappeared: above, the work of Nell Nicholas being viewed by a visitor. 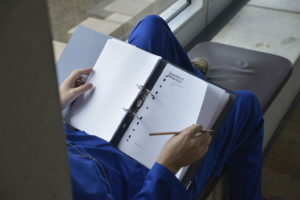 McLoon also visited Glasgow School of Art’s MFA and undergraduate degree shows, pooling from a range of work including the “altered work wear” of Trackie McLeod, as well as the “performance and digital work” of Jeanne Tullen. She also took a trip to Duncan of Jordanstone College of Art and Design in Dundee, highlighting work including the ceramics of Ciara Neufeld and the collaged mixed-media composition of Mhairi Cormack. 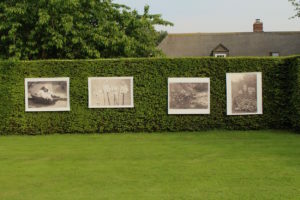 At Bolton School of the Arts, Rebecca Ainsworth viewed work that included the photographic compositions of Cheryl Dalton, which depict “want and need” in reference to “mass consumption and poverty”. 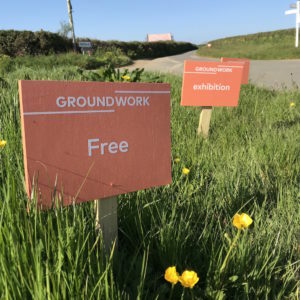 Ainsworth also picked out students including Rebecca Oxley and Lucy Detheridge, and went on to cover a number of works at Wirral Metropolitan College, and University Centre St Helens. We also had coverage from Janet Tryner, who visited Birmingham City University and Coventry University, and Anna Grace Rogers, who visited Cardiff School of Art and Design and Swansea College of Art. 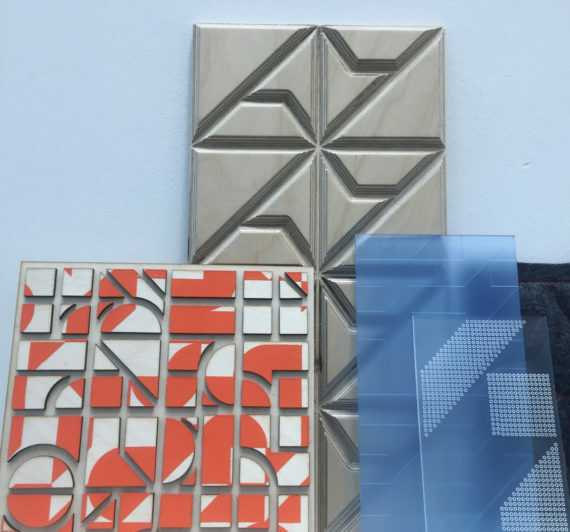 Pictured below, a range of work by Jess Hill, who has completed an MDes in Surface Pattern Design at Swansea College of Art.